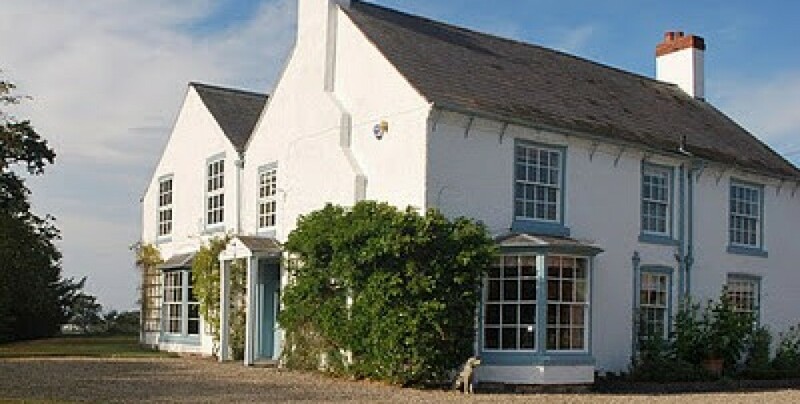 Tybroughotn Hall is a family run bed and breakfast situated in a stunning rural location on the three borders of Cheshire, Shropshire and North Wales. The house is off a winding country lane, surrounded by 40 acres of grassland. We offer full English breakfast, sausages and bacon come from our own free range pigs and honey from our bees. We have a double room with en suite bathroom and a twin room with a bathroom directly opposite. Both rooms are large with exceptional views of the surrounding countryside. there are more rooms available for larger family groups. Twin room with seperate bathroom (large roll top bath). Guest sitting room with TV, DVD and log fire. Three miles from Iscoyd Park wedding Venue.